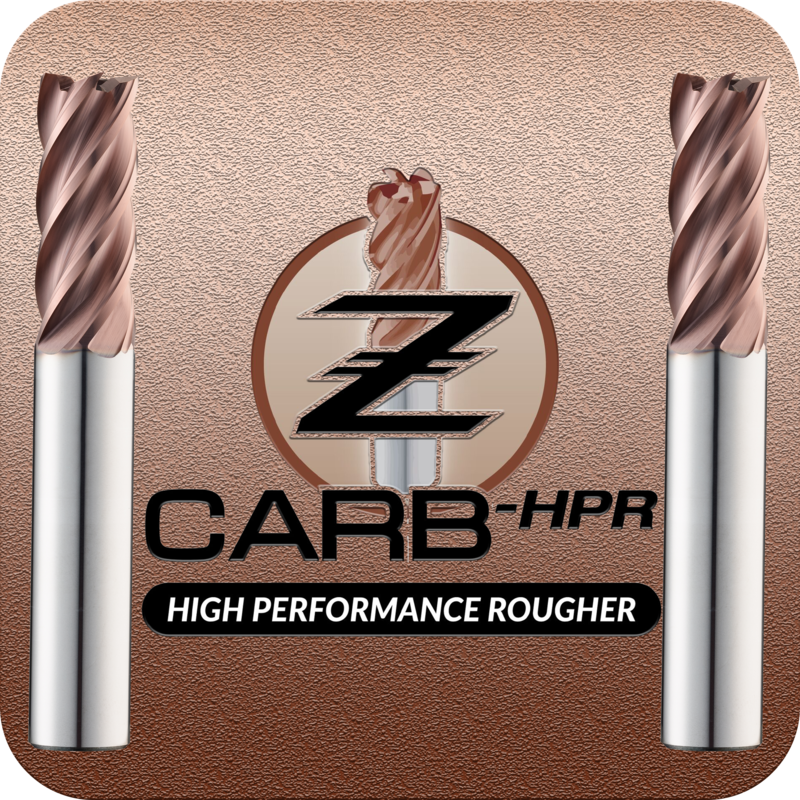 The new Z-Carb HPR Five Flute Roughing End Mills are ideal for achieving high metal removal rates (MRR) and a finish of 80 RMS or better on most materials. The specialized five flute design is engineered for increased productivity over three and four flute end mills. The variable indexing geometry allows for improved chatter suppression over symmetrical designs. Radial Rake specially designed for balance between positive cutting action and edge strength. Through coolant option delivers coolant effective to the cutting zone to enhance chip removal when pocketing or slotting. Variable flute pattern provides excellent chatter suppression over a range of spindle speeds. Manufactured exclusively with Ti-NAMITE-M coating for high wear resistance, reduced friction, and extended tool life with titanium applications. Also available with Ti-Namite-A coating for supreme stainless steel performance.